Email marketing isn’t working for you, is it? The majority of digital marketers say ‘money is in the list’. Still, you haven’t seen even a dime. Let me tell you one thing first. The majority aren’t wrong. Email marketing is one of the genuine ways to earn money. The problem may lie in your strategies. Want to give a try to these Email Marketing tools and services? What if I give you an alternative to email marketing using which, you can send notifications to your subscribers? Here it comes, push notifications. Do you have an e-commerce marketplace app on your mobile phone? Did you ever get a notification from it? Well, it’s called push notifications. When we receive an email or a text message, we have to open it to comprehend the content completely. But with push notifications, you can understand everything from the notification panel. The mechanism is somewhat similar to email notifications. The user should opt-in (most probably the press on a button) before he/she starts getting the updates. You can say it a Hybrid version to get more subscribers. When anyone visits your website, he will get a push notification pop-up box just below the address bar, asking that visitor to allow or block push notification from this website for future. If he allows, you will be able to send the notification regarding any update on your website. He will receive your notification as a flash message in his smartphone or in desktop browsers, depends on your selected options. The best part is that subscriber will get your notification whether he is on your website or not. Whenever he will open his browser/smartphone he will get your notification boom!! There are a few advantages of using push notifications over email subscription. Most of your visitors are not returning. They read one or two articles on your site and then they completely forget about it. That’s where push notifications come into play. With compelling content, you can keep them in the loop. You can group your audience based on any category you like (age, from the page they opted in etc.). It will help you give the maximum conversion rate for a campaign. You can categorize your visitors based on their location. As it doesn’t come under-segmentation, I couldn’t state the same there. Once you geofence your audience, you will be able to send separate notifications to people in US and UK (just an example). People love to see personalized items. That’s why you should call someone by their name even if you don’t have prior acquaintance. Push notifications allow maximum personalization options. So, you have got an overview of push notifications. It’s time to get into the core of the post that’s WordPress plugins for push notifications. If you use any analytic tool, you know the demographics of your users. Do you have a majority of Mac users who visits your site on Safari? If your answer is a big YES, you must use this push notifications plugin for WordPress. It is quite disappointing to know this plugin doesn’t support any other browser. But I couldn’t help myself from including it in this list because of the handy option it includes near the publish button. At the time of publication, you can choose whether to send notifications or not. Pushup notifications is a paid plugin. 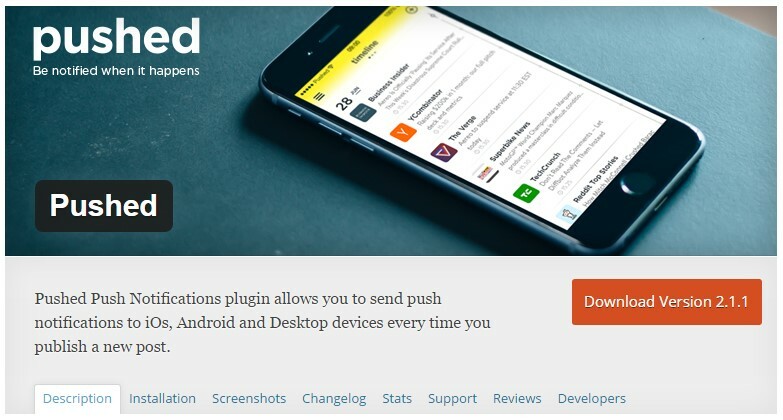 Next up on our list of best WordPress plugins for push notifications is PushAssist. Unlike the first one I shared, you can send notifications to Safari, Chrome and Firefox with this one. One of the nifty features it has is the live preview. You can check how the notification will look like when it goes live. There are many impressive templates you can choose from. And, the delay display opt-ins is another useful option. You can use PushAssist for free up to 3000 subscribers. 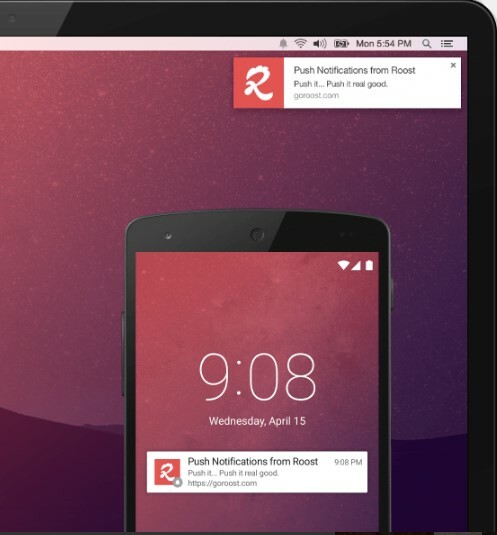 The best thing about Roost Web Push is it can send notifications to Chrome Android! Yeah, you heard it right. Along with Chrome for desktop, Firefox and Safari, it will send your notifications to users who have Chrome for Android. The automation allows you to send notifications on publishing new posts or updating the existing ones. The analytic feature gets you accurate insights whereas scheduling helps you send timely notifications. You can use Roost Web Push for free. If you ask for the most popular WordPress push notifications plugin, I will give you the name of OneSignal. You will get to know the popularity of this plugin once you check WordPress repository. Just like the previous one, I shared it allows automation to update your subscribers with new posts. OneSignal can send updates to Chrome (Android and Desktop), Safari and Firefox. You can decide when to display the opt-in forms. Segmentation is another great feature OneSignal possesses. The plugin is available on WordPress directory for free to download. If you want a wide coverage, not just for your WordPress site, you can choose PushCrew as it is not exclusive to WordPress only. Just as OneSignal, it covers Chrome (both desktop and Android), Safari and Firefox. Unlike any other plugin in this list, PushCrew allows you to customize the messages any way you want. But they don’t have an automation feature. You can use the plugin as long as the number of subscribers is less than 500. 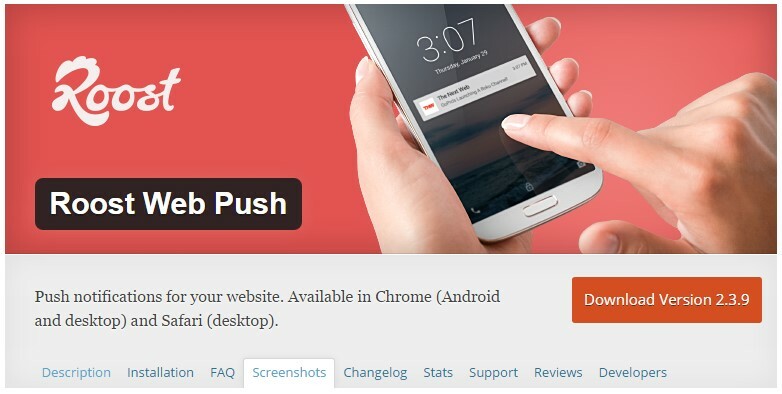 Pushed is another WordPress plugin for push notifications you can use without any hesitation. 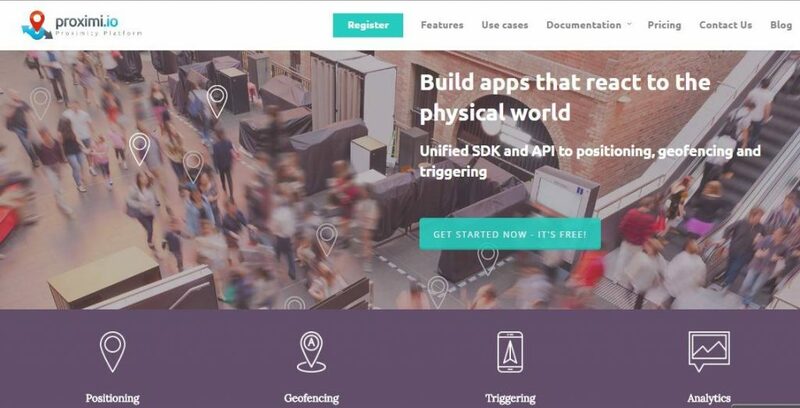 Their website version wants you to create your own developer app for sending push notifications. But here, the WordPress plugin makes the process fairly simple. You can send your visitors the app with a QR code, which can be displayed on the site with the help of the app. Do you think branding is impossible on push notifications? With Proximi.io plugin, you can add your company/blog logo on top of the notifications. Moreover, you can segment your subscribers on the basis of their geo locations and collect the analytics as well. It works well on Chrome and Safari. You can download the plugin for free from the WordPress directory. I have given you seven best WordPress plugins for push notifications. If you have any favorite plugin that I missed, you can use the comment section to suggest the same. Of all the items I have shared here, I like OneSignal the most. It has got almost all the features under the belt and it’s free as well. Thank you for sharing the awesome information. 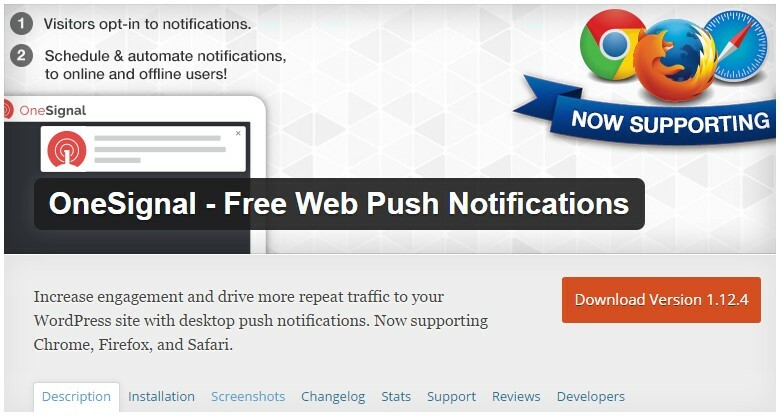 In this blog you tell about best free push notification plugin for wordpress. these all plugin are really nice. kindly request to you Please add Notifyvisitors web push notification plugin to the list as well. It works on multiple browsers with powerful analytics and multiple targeting rules. First of all thanks for stopping by here and commenting. For now, I have covered out only the best plugins in the market based on reviews, maximum installs, beautify and performance of the plugins.